My kids would eat pizza every single day if I would let them, and honestly I would too (if I would let me). 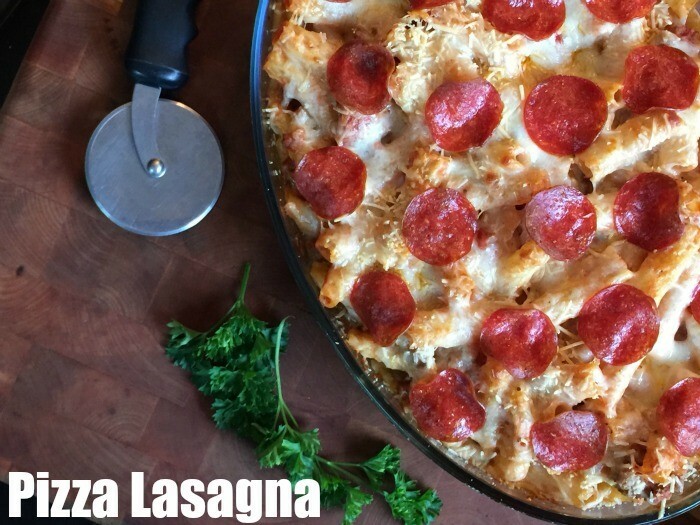 Pizza lasagna can be a yummy way to sneak veggies into yours and your kid’s diets too. Add a layer of steamed eggplant or even (tiny) broccoli chunks to your pasta sauces. There’s lots of options which is why we love this meal so much, it’s always changing based on what we have in the house and what we are in the mood for. While the pasta is cooking brown the sausage meat and cook with the clove of minced garlic. When the noodles are done and drained and the sausage meat is as well, use a large mixing bowl to combine the noodles, meat, and pasta sauce. 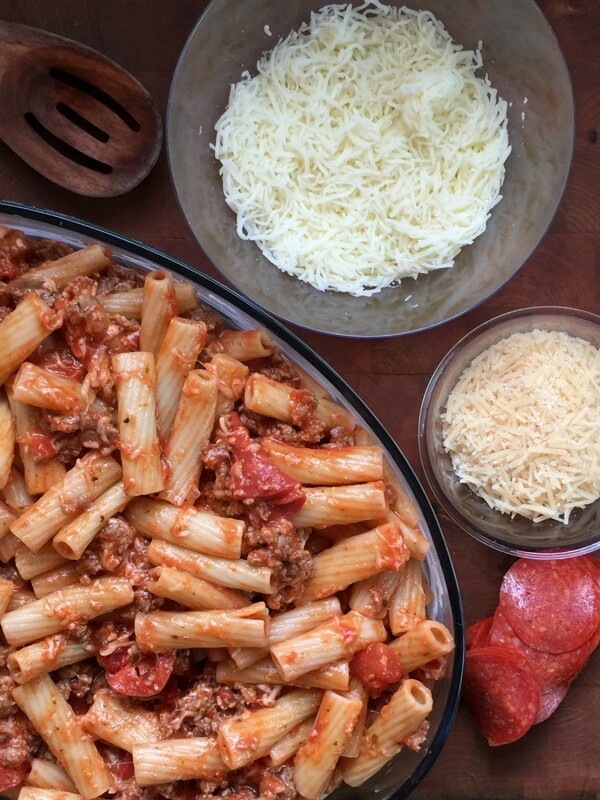 In a 13×9 inch baking pan, add one layer of the pasta mixture. Just covering the bottom of the dish. Put a layer of the cheeses and pepperonis on top and then layer more noodles, cheese and pepperoni. You should have enough for 2-3 layers of each. Bake at 350 for 30 minutes until cheese is hot and bubbly, then slice it up and enjoy! While the pasta is cooking brown the sausage meat and cook with the clove of minced garlic. When the noodles are done and drained and the sausage meat is as well, use a large mixing bowl to combine the noodles, meat, and pasta sauce. Even though you can play around with flavors, adding all sorts of toppings like green peppers, onions or even spinach, one thing that doesn’t change is that Bertolli® is the sauce to use! We love the Tuscan flavor and the creativity that goes into their sauces. 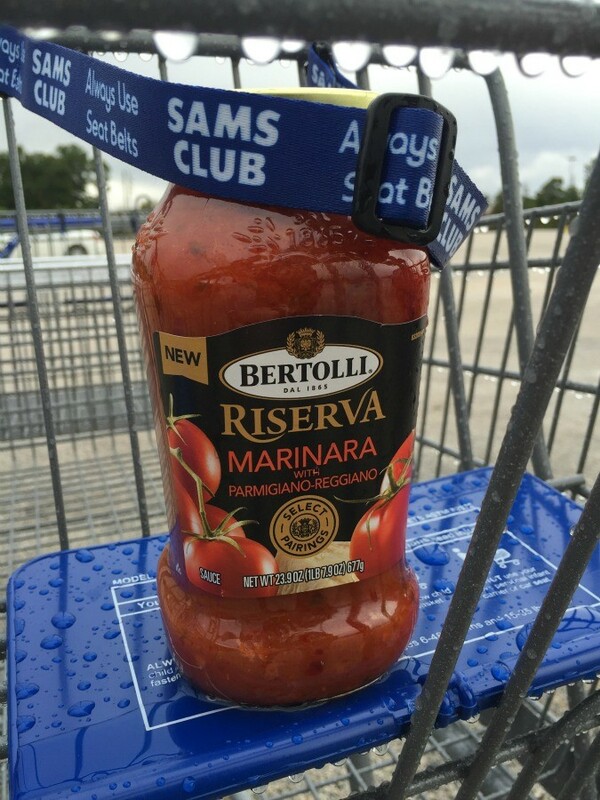 It’s not just your average red sauce, it’s so much more, with rich ingredients. My husband who rarely raves about anything gets really excited when he’s sees I’ve bought a new Bertolli® flavor for us to try! While all the options are great we are partial to the new Riserva line that they came out with for the brand’s 150th anniversary. You KNOW it’s good if a family company can stick around that long, and the new sauces they launched are just incredible! Be sure to follow Bertolli® on Pinterest to find great recipes and tips on the #bertollituscantour. YUM. What is your favorite thing to make with Bertolli® sauce? Did you know that they’d been around for 150 years? So awesome. I LOVE LOVE LOVE the Bertolli Olive oil…I’ve never tried the sauce. What is the sugar content? If you still have the jar. I won’t buy any other oil but Bertolli, so I’m sure their sauce is amazing! This looks awesome and I know my kids would go nuts for it! I love Bertolli and will definitely have to try this recipe! This looks so good I will definitely be making this in the future. Hey Buddy!, I found this information for you: "Pizza Lasagna". Here is the website link: https://www.beautythroughimperfection.com/pizza-lasagna/. Thank you.